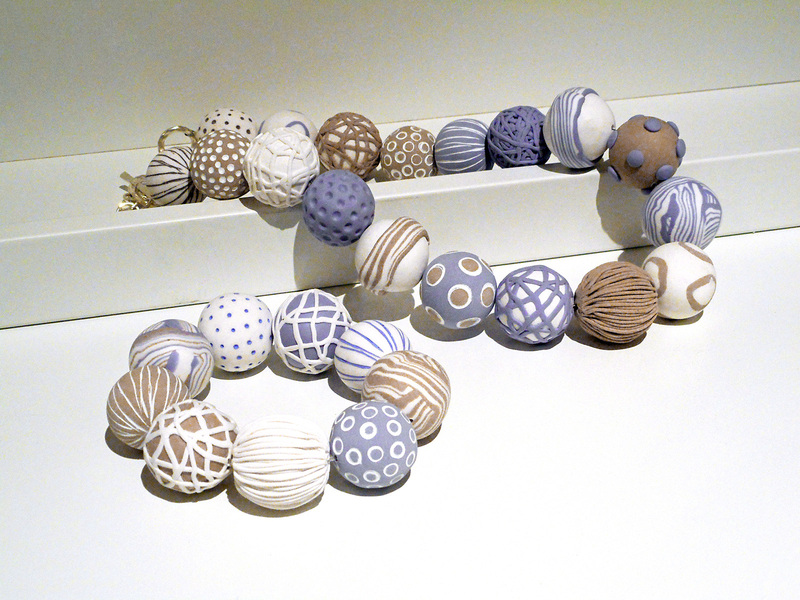 Go wild with these stunning polymer clay beads! 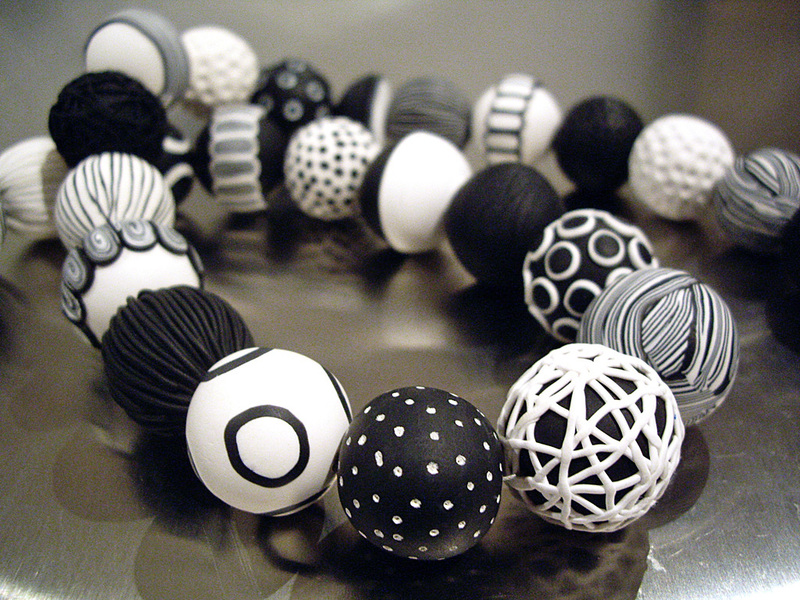 The combination of black and white is timeless, and these fun, contemporary beads offer a wide range of design possibilities from subtle to striking. 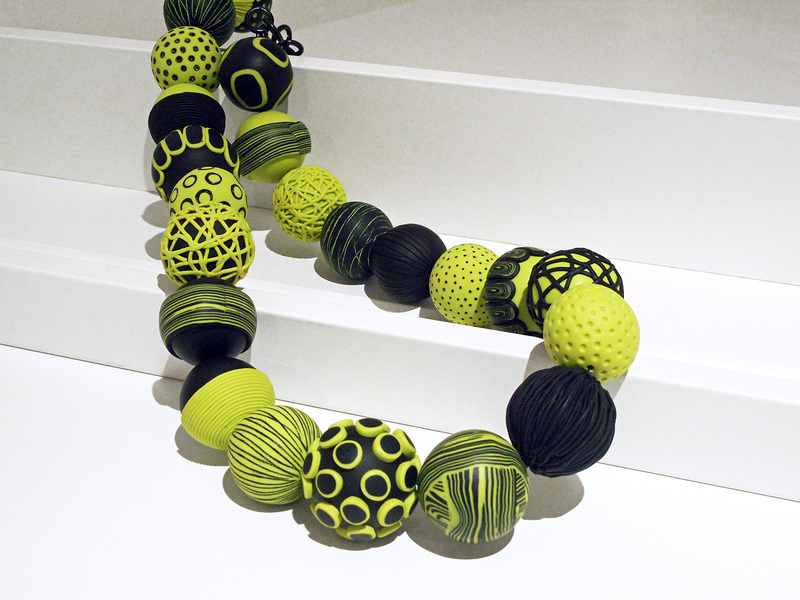 This hands-on one-day workshop introduces a variety of textured and patterned beads in shapes including rounds, hemispheres and pods. Mix shapes and styles for a truly unique piece… and try different colours for a whole new look! The class also covers practical aspects such as using scrap clay cores to conserve your good clay and options for making your beads lighter. At the end of the class you’ll be able to assemble your beads into fabulous jewellery such as a necklace, bracelet or earrings, depending on the number and size of beads made. Scrap clay, if you have some.